In mid-Feb 2016 we were happy to launch the redesigned website BeingEco for our client BeingEco and Environmental Engineering Company. The new BeingEco website has a new look built on the new HTML5, CSS & jquery TECHNOLOGY for a responsive website. ClickPoint provides reliable and effective web-based solutions to its wide clientele hailing from different genres. 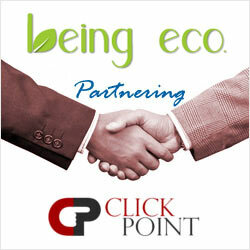 Being a web solution company India our industry experts helped in setting up the web presence for BeingEco Company. Our portfolio will reveal you the identity of our different clients. Redesigning a website becomes important for various reasons and in most cases, it is considered a wise investment. Your website is one of the primary tools and plays a significant role in the world of internet marketing. Should you take a plunge for redesigning your website for obtaining good rank in the search engines such as BeingEco or leave your business without considering the aspects of refurbishing your website? Whether it is about incorporating social media in your website or to make it mobile-friendly, the prospects of redesigning a website have skyrocketed during the recent times. Being Eco is an organization which helps you to reduce what you use, reuse what’s left and recycle only those end products that can’t be reused. As a eco-friendly company, we had to keep in mind their website look and feel to talk on the eco-friendly environment. With the availability of ClickPoint that help in redesigning websites, you have got to consider the aspects fitting Being Eco website in the mobile devices. The availability of devices such as tablets and smartphones, most people prefer looking for websites from the mobile instead of laptops and desktops. Delivering a Responsive website was a challenge for us to create such a smart website which should understand the device and act accordingly. Thus, website redesigning is important for incorporating an interactive and responsive design which is ideal for smart phone users of the modern day world. 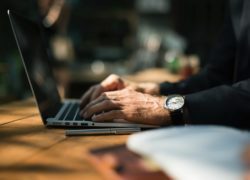 In fact, business owners can reach out to a large audience by implementing simple techniques that are considered as part of refurbishing a website. Most of the staff from Being Eco are from Environmental Engineers, Biotechnologists, Chemical Engineers, Entrepreneurs and Inventors, Designers, Urban Farmers, Composters, Food Lovers, Problem Solvers. For ClickPoint it was a challenge to understand the background of each functionality and present them on the website in a most aesthetic way. Do you want to make your website more functional by adding features such as e-commerce, forums, and blogs? Our website redesigning services becomes imperative that everything in the website flows in a seamless manner for Being Eco web presence. In addition to this, we had to ensure that adding new features have enhanced its usability for which consulting the services of a professional company makes real sense. It is true that refurbishing a website is a daunting task but when you partner with a good company, it helps you make your website more user-friendly and up-to-date.